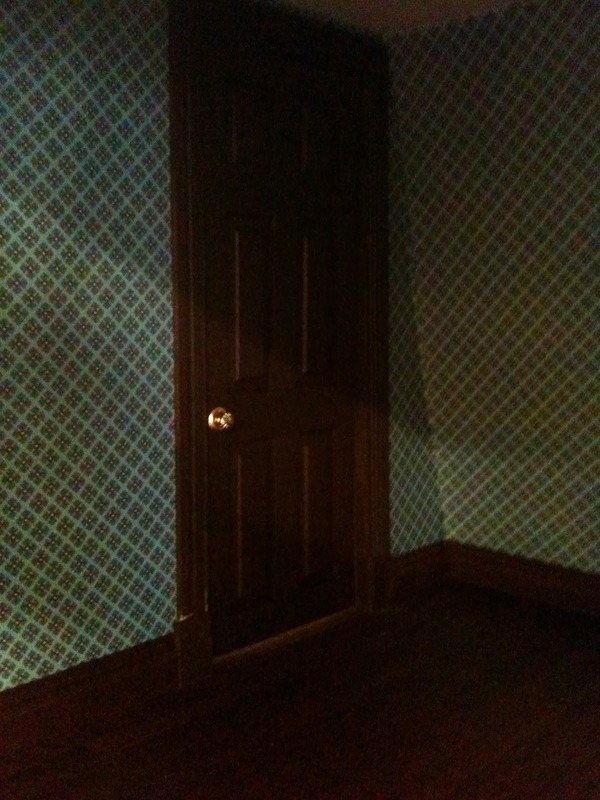 I finished the blue room in the attic of the eBay house this weekend. It needed a door and a floor. For the floor I used pre-bought floor boards, which I decided to french-polish, for a more realistic finish. French polish is fairly straight forward, you need one part methylated spirit, and about one part shellac. Both these ingredients can be bought at a local hardware store. 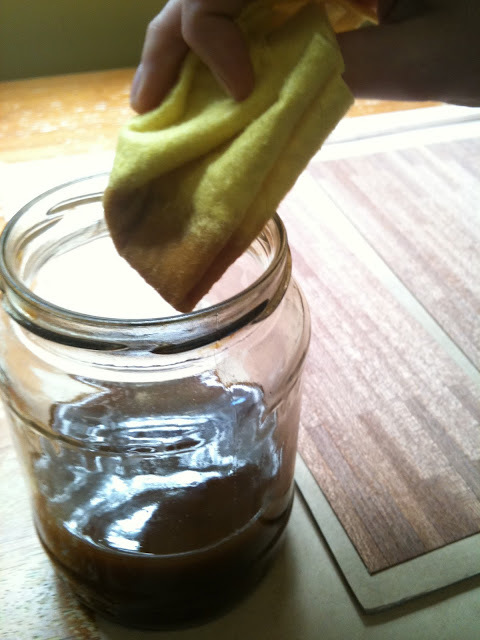 Add the ingredients in a glass jar and allow to dissolve. Leaving the jar in a warm bath of water can help this process. Then it is a matter of applying. 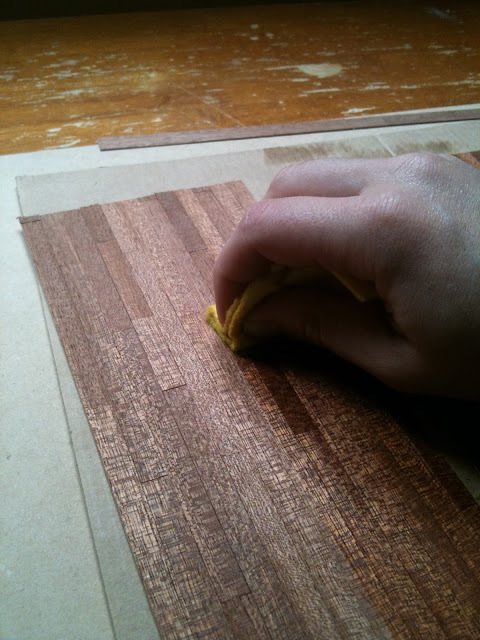 You must apply many thin coats (about 5 for a low sheen). You must let the wood dry in between coats. When applying, never cover the same spot twice. In the above and below pics, you can see the before and after. 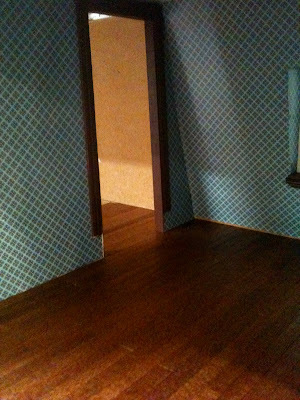 I added the floor to the blue room and hallway next door. Then I added the skirting boards. 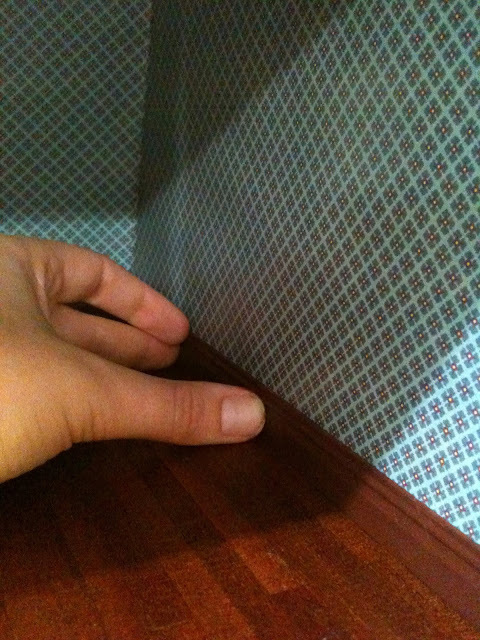 You must always add skirting boards last after the floor has gone down. This allows for a much larger error margin when cutting the floor to size. 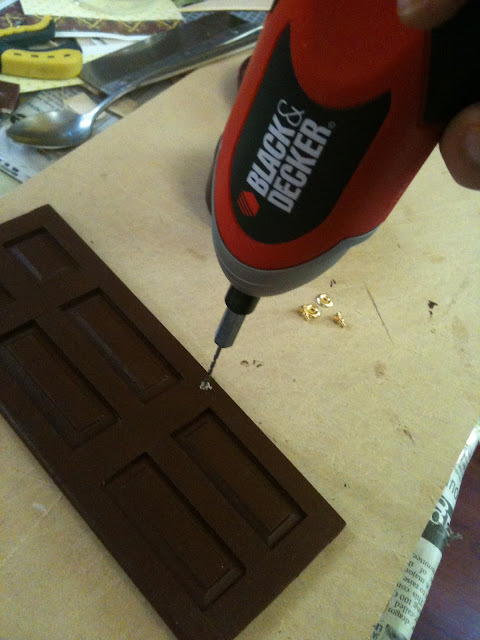 I prepared the door by drilling a hole for the door nobs. Drilling one hole through the middle means that the nobs will align perfectly on both sides. Fitting the door was quite fiddly. 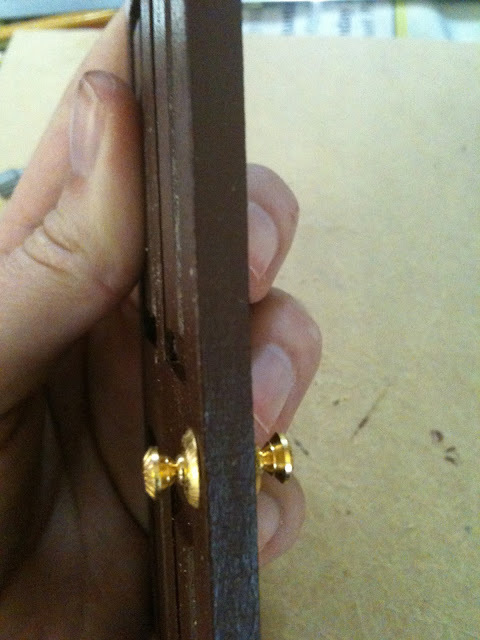 I left the pins in place when I pulled the door out of the pre-made door frames. I made a small whole in the threshold and pushed the door in. Because the door is not exactly the same size as the door way the door can be pushed up a little to enable the bottom pin to be fitted. It is quite fiddly, but the result is good! Finally I touched up a few spots with the skirting board paint. You are much more sensible than I. Yesterday I bought some 3mm wood to saw into bits for my floor boards, I may live to regret that! Your floor looks great, I must remember the technique for the french polish, the wall paper looks good too. Wow that sounds like it will look fantastic. Sometimes I think that buying the floors is cheating, but then it does save a lot of time! Look forward to seeing your next post. I totally agree with Fiona; your blue wallpaper in combination with the brown/red stain of the wooden floor is beautiful. Looking forward to your next post! Thanks very much Llduina! It is such a nice pattern, I'm on the lookout for more! Thanks for sharing your experience and skills. It really helps to know other people's "little secrets" and techniques. Your "parquet" (in French) looks great with French polish. I will look for the ingredients here and give it a try. I'm glad it is helpful! Hope you have a chance to try it out. Great to hear from someone in Thailand too!It is amazing how many people in different countries I have now been in contact with. I love your bedroom, it looks really wonderful! Terrific work. 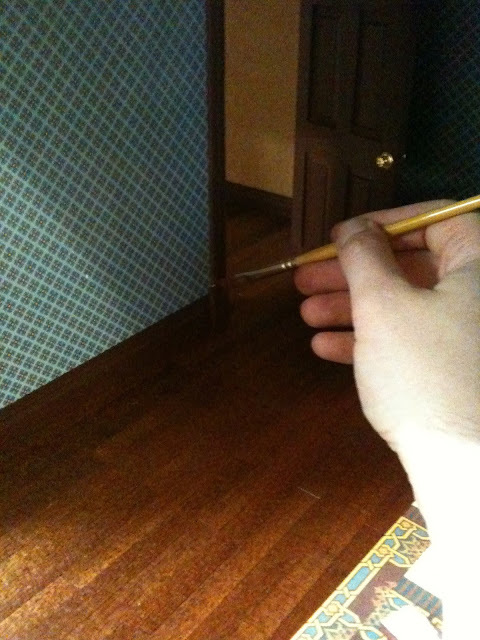 The polish on the floors looks wonderful and the rich color for the woodwork is stunning! With the wallpaper and the woods, this room is just beautiful and rich looking.